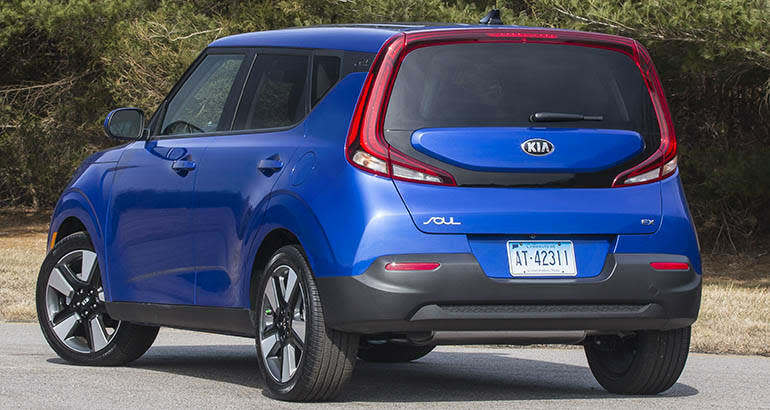 Kia struck a rare chord with the original Soul, creating an affordable small car that exudes personality. 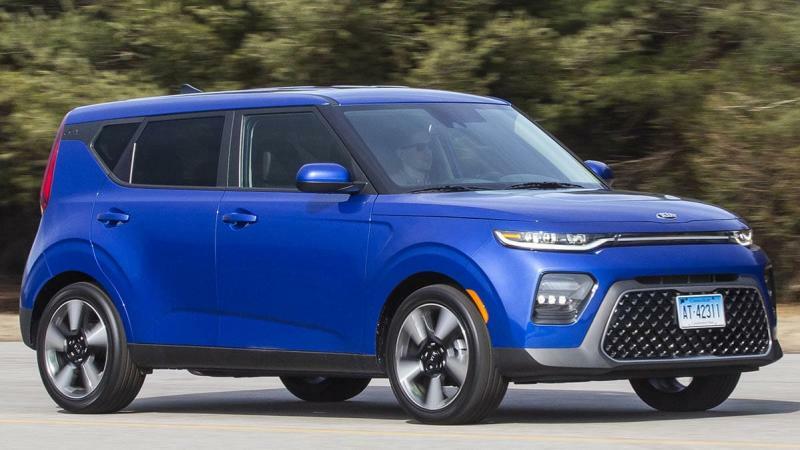 The latest, a third-generation model, carries forward the distinct boxy silhouette and gives it a bit more space to make the 2020 Kia Soul more functional than ever. Sometimes, small changes can make a big difference. The redesigned Soul grew about 2 inches in length, improving the rear cargo space. The last model had quite limited room behind the rear seats, but now there's a useful amount of space, helped by a deep well to hold things in place. Other changes, such as a new engine, a large infotainment screen, and revised suspension, make incremental improvements. But at the core, the Soul remains an intriguing alternative to trendy small SUVs. These are our first impressions before it goes through CR's extensive testing program. 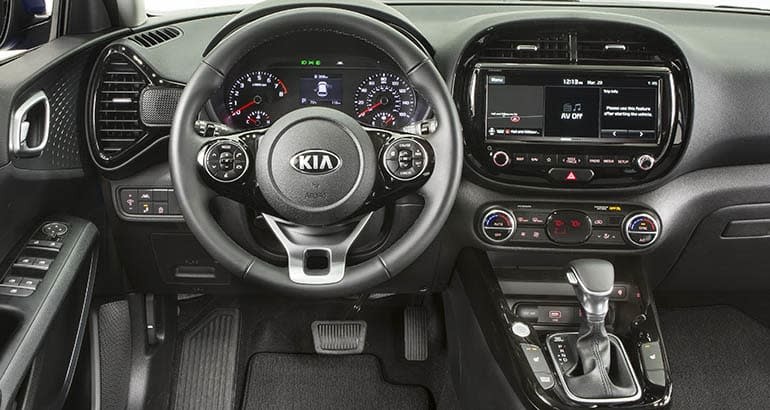 It's really easy to step into the 2020 Kia Soul, with its large, wide doors and a seat height that allows for an easy entry or exit. The elevated seat is higher than a car’s yet lower than an SUV’s. There is small wonder that these have been popular with older drivers who prize simple accessibility. We also sampled a lower trim, an S model, which we found a bit plain. It’s worth getting the EX version for the power seats alone; they were comfortable for most drivers and included lumbar adjustments. They also look good, thanks to the leatherette trim included in the EX Designer Collection option. The controls are easy to read and operate, which is common for Kia models. The EX comes nicely equipped. A welcome roster of modern conveniences for the price includes keyless entry, heated seats, an upgraded infotainment system, dual-zone climate control, and a wireless phone charger. This trim also gets a large 10.25-inch touch-screen display for the infotainment system. It is compatible with Android Auto and Apple CarPlay. The system works well, as it does in other Kia models. The split-screen is helpful, enabling two functions to be shown simultaneously, such as navigation and audio selection. On paper, the new 2.0-liter engine looks a bit meager with just 147 hp—14 hp less than the previous 2.0-liter one. Factor in that a continuously variable transmission (CVT) replaced the previous six-speed automatic, and it would be natural for drivers to be pessimistic about performance. But they'd be wrong. This new combination works surprisingly well. Power delivery is smooth, without too much noise. The Soul isn't quick, but it's quite responsive around town and it can merge on highways without drama. In some small cars, CVTs tend to allow engine revs to race and convey that the car's engine is struggling. That's not the case here. The Soul’s CVT has built-in steps that simulate the shifts felt with a conventional automatic transmissions, the telltale pause and drop in engine revs that climb again during acceleration. Most drivers would be hard-pressed to identify this as a CVT, and our team was impressed with the overall powertrain combination. Kia says this setup brings a 10 percent increase in fuel economy. We’ll see. The leather-wrapped steering wheel feels good to the touch, and the steering itself has fairly quick response for the class. The handling is lively, making the Soul relatively fun to drive. The cargo space is notably improved. When the load floor is removed, there's a well carved out several inches below the bumper that's handy to stow groceries without fear of them tumbling out. The Soul's ride is rather stiff. This was the most common complaint among our drivers, with some citing it as the reason they wouldn’t buy one. We found no discernible difference in ride comfort between the S trim, with its 16-inch tires, and our EX, which is fitted with optional 18-inch tires. It's easy to enter the Soul, but some of our drivers noted that the door sill extends from the bottom of the door so that their pant legs rubbed against it when they were getting out. The center console intrudes on the driver's right leg, rubbing the right knee in an annoying way for some drivers. The supportive bucket seats are a bit narrow for some wider drivers, notably at the shoulders. The rear seat is rather flat. It feels a bit cheaper than the front seats, and we collectively agree that it's best suited to running around-town errands. Buyers looking to take the family on longer trips may need a vehicle that's more comfortable. We noted that passengers in the rear hear a bit more road noise than the front occupants. The base LX and X-Line trims don't include key advanced safety features. But the other versions, including our EX, have a robust safety suite that comes standard with forward collision warning, automatic emergency braking, blind spot warning, and rear cross-traffic alert. That's a good collection of features on a model that starts at $20,290. But it's disappointing whenever at least automatic emergency braking isn’t standard. Slight adjustments to the Soul’s size help make it more functional, and there are some improvements throughout. But we need more time to assess facets such as the suspension, infotainment system, and rear-seat comfort. The powertrain is satisfying on first blush. It will be interesting to see how it performs in our acceleration and fuel-economy tests compared with the previous more-powerful model. The Soul again brims with cheerful personality. Once our 2,000 break-in miles are complete, we will begin formal testing and see how the new Soul measures up.